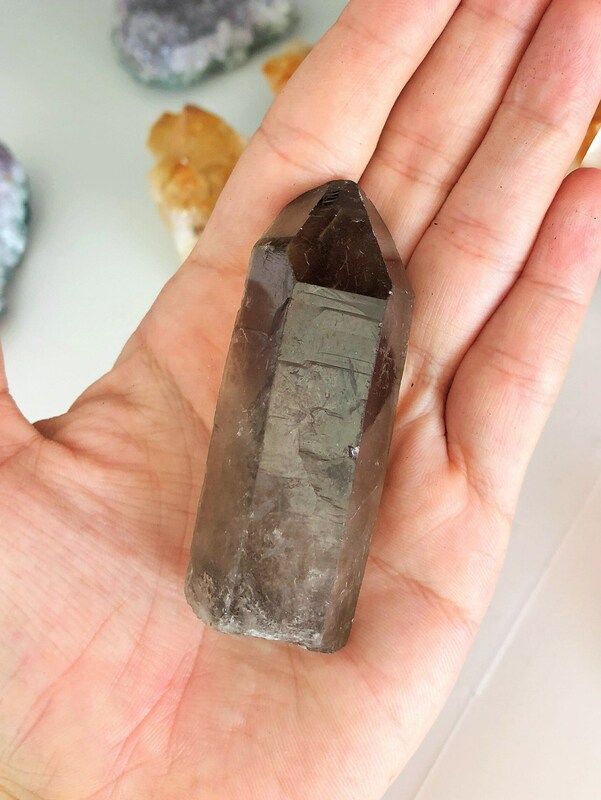 Receive this lovely morion quartz point. 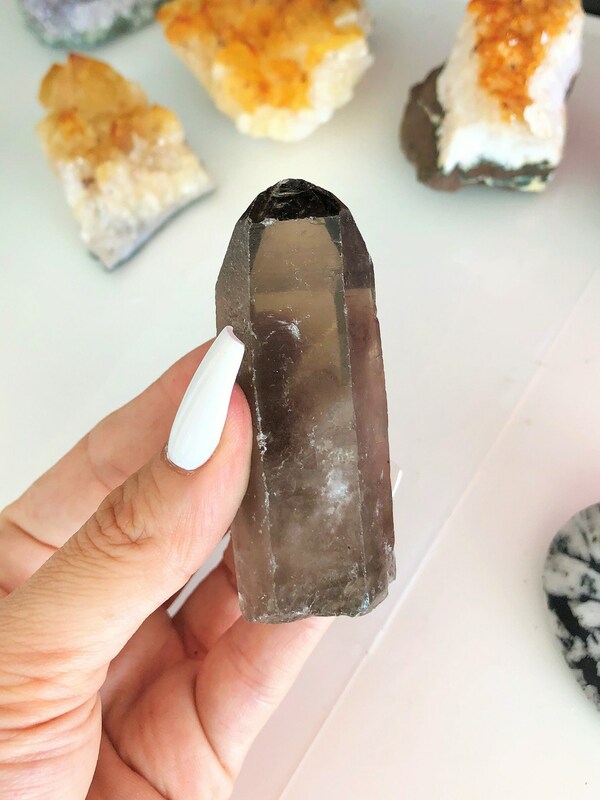 Morion is a rare form of quartz that is naturally black but can fade to a lighter shade through contact with sunlight. 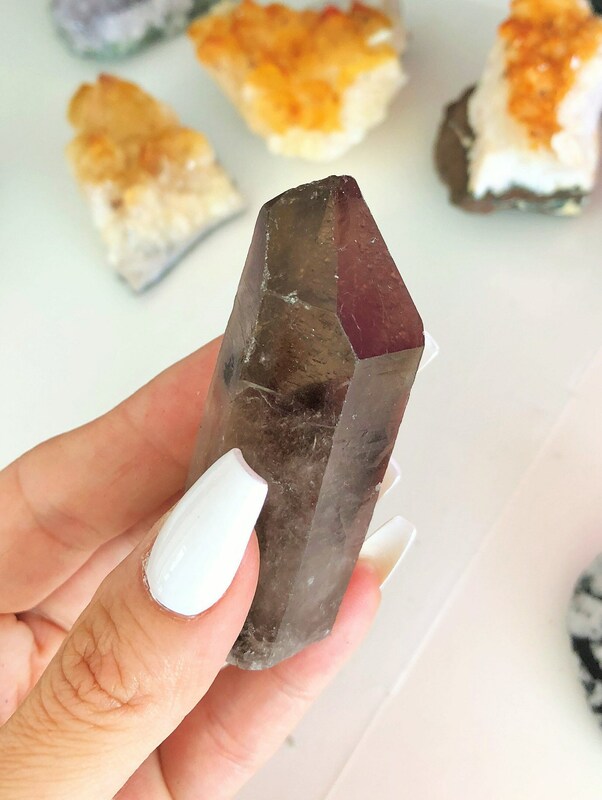 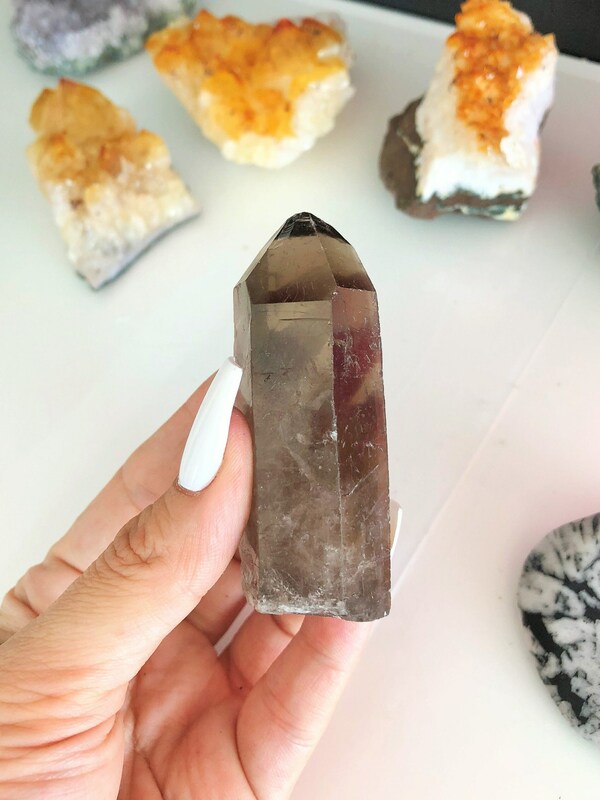 Morion crystals have a strong connection to the earth and base chakra and so has a strong "grounding energy" that can help you stay grounded. 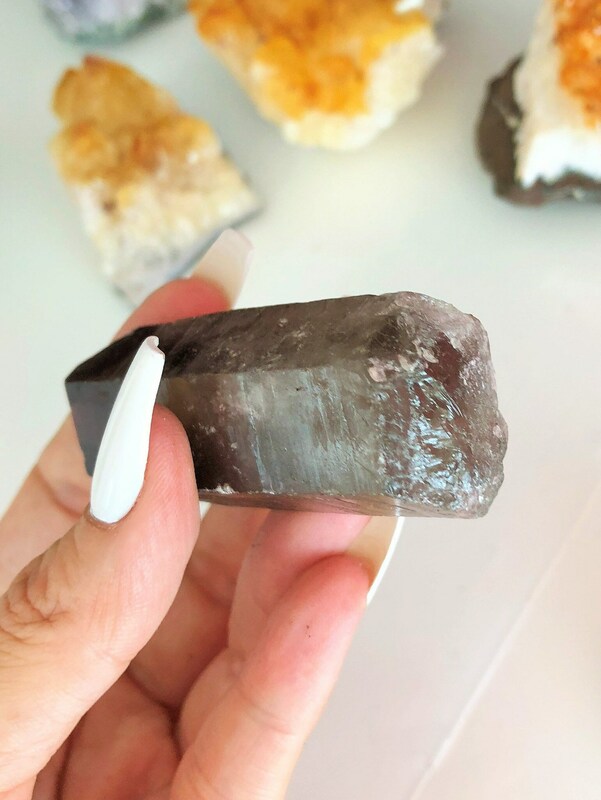 Listing includes the same Smoky Quartz Point crystal seen in the images.